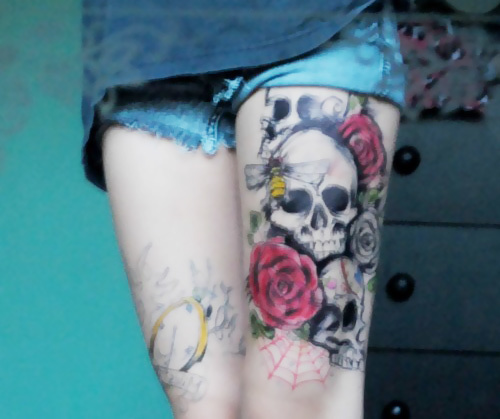 This gothic tattoo is meant for thighs. The base for the design is a huge skull, in which the socket area is shaded. Two big roses are sketched diagonally at the base and small details like spider web are done beneath the roses. In the remaining area, side profile of skull is sketched diagonally. This is a black and white tattoo. The index finger points out to the other leg with the text “one foot in the grave” below the hand. This tattoo refers to a close encounter to death. It denotes that everyone is mortal. This is again a black and white tattoo. It is a black beaded anklet with charms attached. The charms, like the beads, are in black. A heart shaped charm is filled in with black ink. The charm has two loops. This tattoo is half black and white and half colored. The one to the left shows a black ornate frame with exquisite design. Inside the frame is a Japanese bird cage, with the cage door open, freeing the bird from its cage. The cage is set on a cherry blossom tree with red flowers. 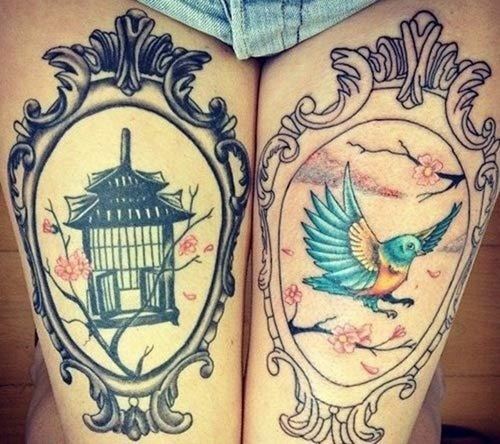 The other tattoo shows the same ornate frame with exquisite design. Inside the frame is a hummingbird in shades of blue that has escaped out of the cage. Behind the bird are trees with flowers in bright colors. 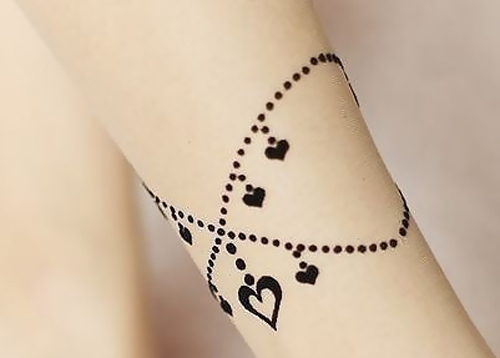 This is a small tattoo meant for the ankles or heels. It shows a blue star in an outline of dark blue and is filled with sky blue ink. In the center and over the star is a half moon. The half moon is painted in a bright orange shade.This tattoo is simple and feminine. This tattoo depicts a dreamcatcher.A dreamcatcher is a handmade object made and used by native Red Indians. It is believed that a dreamcanther wards off nightmares and evil dreams at nights. The dreamcatcher is adorned with feathers and beads. It is the word for ‘spider’ or Ojibwe: bawaajige nagwaagan meaning “dream snare”. 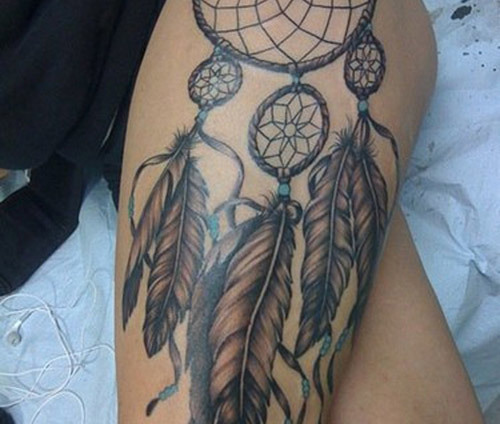 This dreamcatcher is in black and white ink, with shading for the feathers. 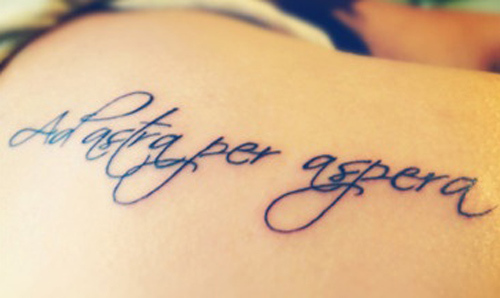 This tattoo is in black ink and small font with well-spaced lettering. 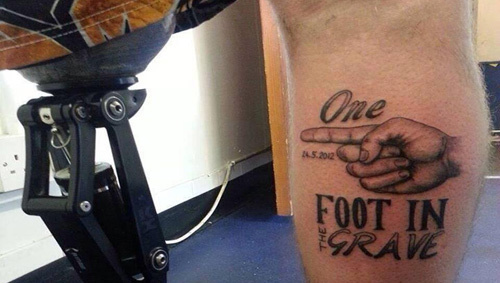 It is a tattoo meant for the foot. This tattoo tells about spiritual awakening and following what one believes in. The tattoo is in Monotype Corsiva font in black ink. It is meant for the wrist. 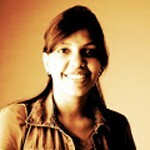 It talks about the importance of peace and those who bring peace. 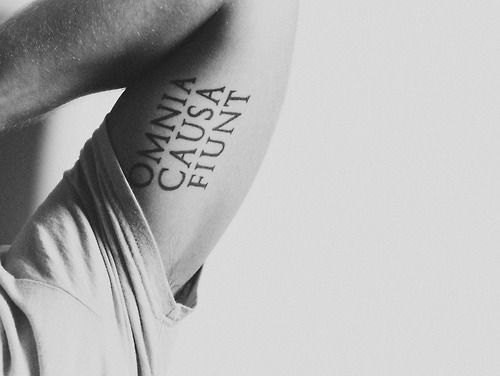 The tattoo is etched in black ink and capital letters with Times New Roman font and clear spacing. It talks about acceptance and how everything that happens for a reason. This tattoo is etched in black ink with a cursive font, loops and fancy lettering. It means that success can only be achieved through hard work. 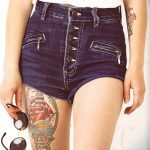 These are the best leg tattoo designs according to us! Do you agree? Leave us a comment!